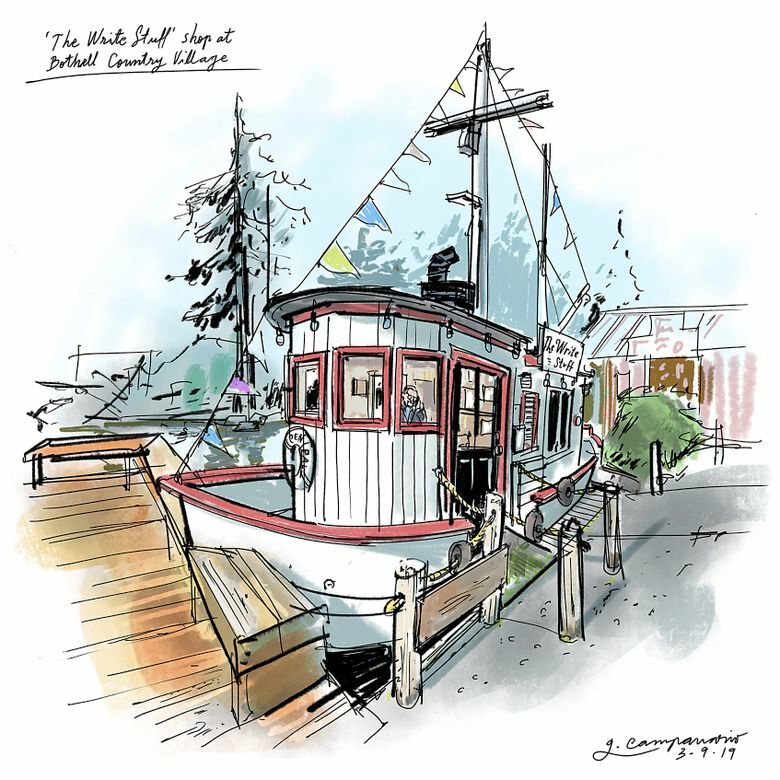 The “SS Pen Pal,” an old remodeled gillnetter, is embedded in the landscape of Bothell Country Village, a beloved outdoor shopping center 15 miles north of Seattle where I’ve sketched on a few occasions over the years. This time my visit was bittersweet. Two years ago, the local family who has owned and operated Country Village for nearly 40 years announced plans to sell the land to developers. Some of the businesses have already relocated, while others plan to by April 1. 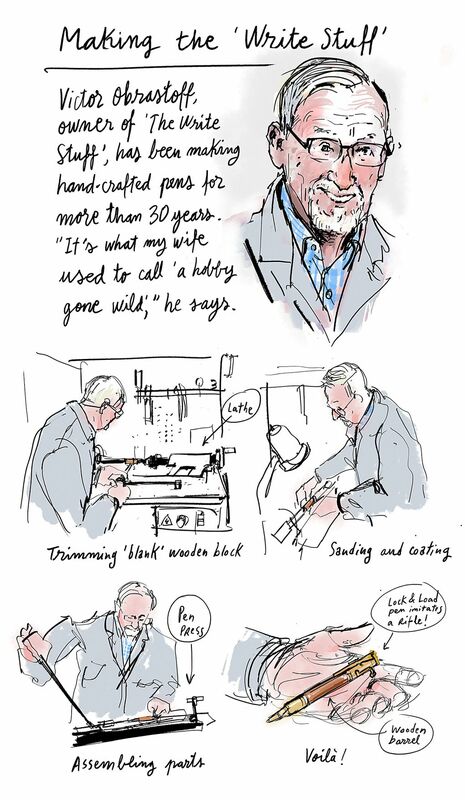 Among the shops that still remain is the eye-catching boat where Victor Obrastoff uses a lathe to build “hand-crafted pens of distinction” made from exotic woods such as Hawaiian curly koa or Central American cocobolo. So if you haven’t taken your farewell selfies yet, this is the time to pay a visit. The charming old barns, trains cars and giant fiberglass chicken by the entrance are still there. Oh, and Obrastoff said he is planning a big closing sale.